I am running UnifiedGenotyper, which works, it gets to the very end where it says "DONE" and then no file is generated since it says "-o command not found"
I have already tried using an Uppercase O, and also --out, and none of this worked. 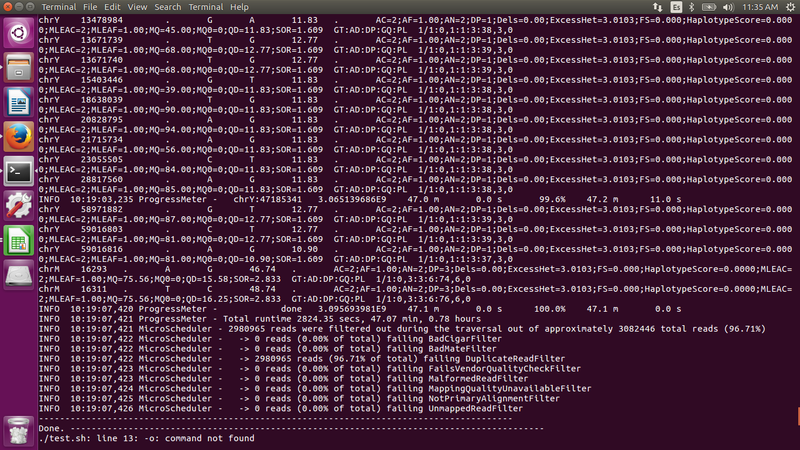 Also, many different failed tasks appear, which I am not sure if that may interfere. I am attaching a screenshot. Can you post the exact command you ran? 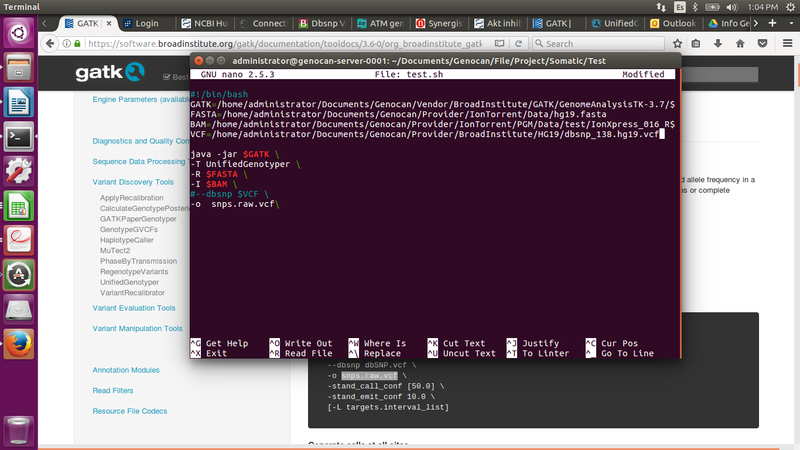 It looks like you did not add specify the output file name with -o, as the output is being printed to the console. I did specify the output file name, and tried in many different ways, with the same result as shown above. Please post the full console output you get from running the command.